Matcha green tea powder pairs perfectly with coconut vodka and heavy cream. The Matriarch is a cocktail crafted by Kaitlyn Stewart, World Class's best bartender in the world of 2017. It got her past the first round of competition, and it's completely original. In honor of the strong women in her family, spearheaded by her grandmother, Stewart used coconut flavors and matcha green tea powder to make a creamy cocktail that tastes like "delicious, melted-down green tea ice cream," she says. 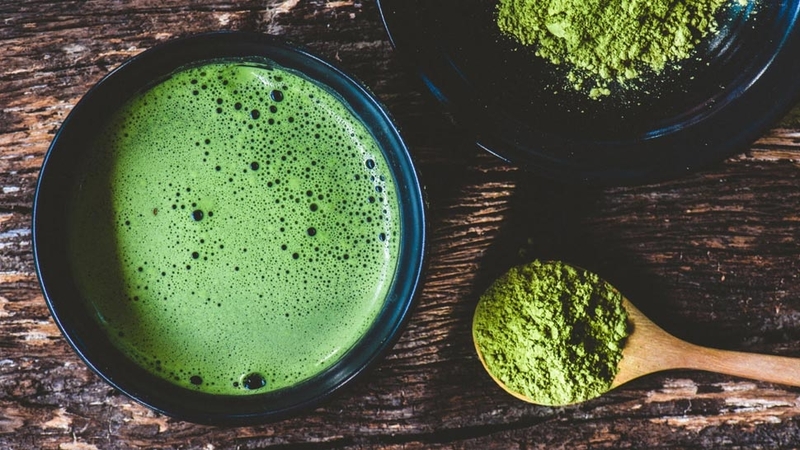 Matcha, if you haven't heard, is very good for you. Here's her recipe. Combine all ingredients into a shaker tin. Vigorously shake for 12 seconds. Fine strain, neat, into a small tumbler.